One more video with Perspective illusion, now with my DP. Mais um video que fiz com o efeito de perspectiva optica. My Yokomo Drift Package with Team Toyo Tires 180SX body, running together with my FR-D (Kasahara driving my blue S13). On sesaki Leisureland RC Drift Circuit. Now, making a video about my Yokomo Drift Package RWD set-up. Estou fazendo um video sobre o set-up do meu Yokomo DP RWD. Yesterday I was testing my DP, after changing the position of the gyro. The result was very good, without any problem in the new position. Now I can shorten the wires from the gyro. 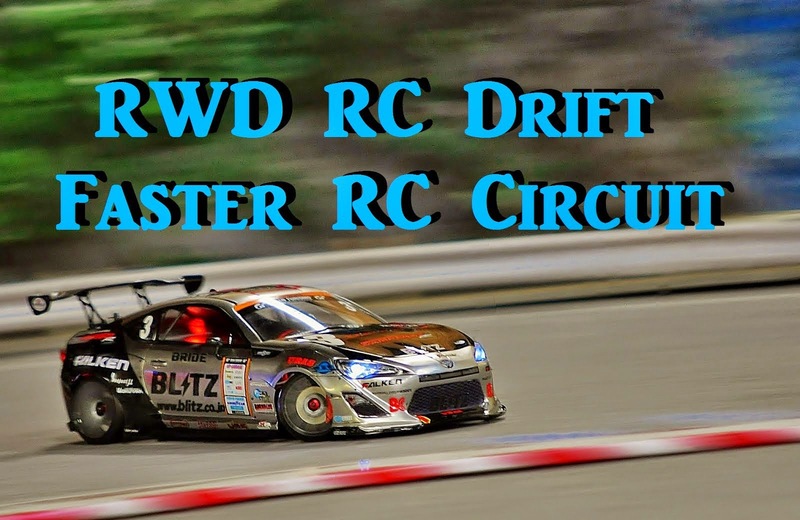 Went Faster RC Circuit and a friend brought a new DP RWD with GRK steering. I do not know how he fixed it. It's a old camera, but working well ! Last time it was on top of the rear gearbox.